This type of plants is used for treatment of ground water and surface water typically for reduction of iron, arsenic, fluoride, manganese, ammonium, and aggressivity in waterworks, companies, and private households. Pressure filter plants can also be used for special fields of application such as dechlorination of water, reuse of process water, filtration of seawater, percolate filtration, final filtration of industrial or municipal waste water. The flexible system with many standard modules results in favourable prices and makes countless applications possible. The plants are uncomplicated and at the same time extremely efficient and reliable. The design makes installation and maintenance relatively easy. We are one of the leading manufacturer and supplier of Iron Removal System Attached Hand Pump. We obligated to meet the quality standards as per the customer demands systems are design based as on CSIR. It helps to soft healthier shining skin & hair. Prevent from color change of cloth especially white cloths. Preserve pipeline, shower heap tap faucets from clogging due to deposition of Iron. We are one of the leading manufacturer and supplier of Domestic Fluoride Removal System. We obligated to meet the quality standards as per the customer demands. Domestic Fluoride Removal System filled with approved media. They reduce the concentration of fluoride in water. 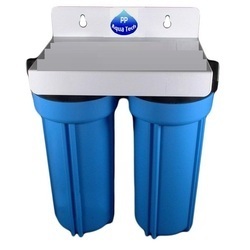 The series includes two-stage (polypropylene-iron removal) cartridge, which additionally removes sediments such as sand, silt, rust and suspended solids. PPA series cartridges are dedicated for cold water filtration. It protects to increase tumor & cancer. It protects Bone cancer (Osteosarcoma), Bone fracture & dementia, muscles disorder. We are one of the leading manufacturer and supplier of Domestic Iron Removal System. We obligated to meet the quality standards as per the customer demands and systems are design based as on CSIR. 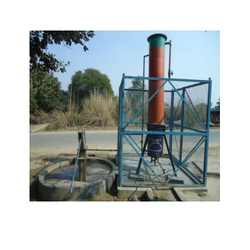 We are one of the leading manufacturer and supplier of Arsenic Removal system. We obligated to meet the quality standards as per the customer demands. It protects to skin, blood, kidney & lung cancer. It protects against diabetics and high blood pressure. It protects to skin problem such as color changes, hard patches on the palms and soles of the feet. We are manufacturing & supplying of fluoride removal system attach hand pump in different capacity. We are one of the leading manufacturer and supplier of fluoride removal plant. We obligated to meet the quality standards as per the customer demands. fluoride removal filter cartridges filled with approved media. They reduce the concentration of fluoride in water. The series includes two-stage (polypropylene-iron removal) cartridge, which additionally removes sediments such as sand, silt, rust and suspended solids. PPA series cartridges are dedicated for cold water filtration. PP AQUATECH is the leading international manufacturer and supplier of specially Activated Carbons, and associated adsorption technology. 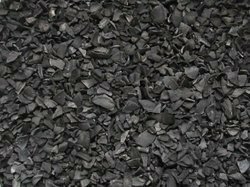 We provide a complete range of activated carbon products, applications, and services, to meet all requirements. Our specialties include water treatmentsand carbon regeneration using thermal reactivation techniques. Our team are renowned for both their technical know-how, and their excellent customer service. PP AQUATECH carbon, we’re committed to ensuring that the exact requirements of each individual are always met, and that any given application is matched to the right solution. Our products are used in many domestic and industrial applications to the manufacture of complex industrial chemicals. Pure water witHjout iron araenic mad fluoride, SAFE WATER ANY TIME AND ANY CIRCUMSTANCES.